Students at Harvey Mudd College have the opportunity to study away from the Harvey Mudd campus. Students may spend a semester or a year at a university abroad. This is most commonly done in the junior year. The Harvey Mudd College Study Abroad Program provides students the opportunity to develop an international perspective and broaden their education in ways not possible in Claremont. The selection process first begins with the Study Abroad Committee (SAC). This committee is composed of three faculty members and four college administrators with close ties to the study abroad process: the Director of Study Abroad, the Director of Financial Aid, the Student Accounts Manager, and the Registrar. Selection for study abroad is based on a submitted application, and the SAC’s review of each application is confidential. In this two-step selection process, applicants are reviewed by the SAC and, if approved, are referred to the respective study abroad programs. Each study abroad program provider has its own selection criteria, which may differ from the criteria used by Harvey Mudd College. The number of applications program sponsors receive from other institutions may also affect the selection process, and a competitive situation can occur in programs with a limited number of available spaces. In direct enrollment programs at foreign universities, students usually have to be accepted by a division of the university (often referred to as a Faculty or School) as well as the international office of the university.  Because some programs have early application deadlines, notification from the program sponsor may occur prior to the final decision of the SAC, however, under normal circumstances, students are required to first apply to Harvey Mudd for approval. Students must have approval from both the SAC and the program sponsor. Evidence of academic competence and preparation in the proposed area of study is required. Students must complete all necessary prerequisite courses before participating in the program. Students should note that many programs in foreign language environments require the completion of at least one college-level course at the designated level. This requirement may not be fulfilled through AP or SAT-II scores. For students interested in taking courses in the host country’s language, strong language preparation is especially important. Students should be able to follow university lectures in the language in which they are given, participate in seminar discussions, take notes, and understand written material in their field. Generally, four or five semesters (or the equivalent) of a foreign language at the college level is required. Applicants should present reasons for the appropriateness of the program in terms of academic, linguistic, and/or cultural goals. This may be within the context of a liberal arts education or specific academic goals, normally focused on a student’s major subject. In addition, the proposed program must be suitable in terms of academic content. The proposed destination should be suitable in terms of a student’s stated goals for the semester abroad. The SAC will consider the academic resources of the proposed program, as well as if and why a proposed city, country, or region presents a particularly advantageous environment in which to pursue one’s stated goals. A student’s academic record is highly considered during the application review. Harvey Mudd requires a GPA of 2.5 or higher to apply for study abroad. Students who do not meet the Harvey Mudd GPA may submit a petition requesting an exception to this rule along with their HMC application. The SAC will carefully consider this petition and may reach out to advisors and faculty of previously taken courses for input. Students should be aware that even if HMC approves the petition, the program and foreign university may not approve the application. Meeting program requirements is important, but it does not guarantee acceptance. The successful completion of a program abroad requires individual initiative and a sense of maturity and responsibility concerning social matters as well as academic duties. Students must also accept responsibility for representing the College well. Study abroad requires tolerance and a willingness to adjust to living and studying conditions very different from, and often much less comfortable than, those in Claremont. All of these qualities will be taken into account when the SAC judges the suitability of each candidate. The proposed period abroad may not impede students’ normal progress toward graduation. Students must indicate on their application how they plan to complete major and graduation requirements. Students’ advisors must approve and sign the application. Most Harvey Mudd students study abroad during their junior year. Although students may petition the Scholarly Standing Committee (SSC) to study abroad as early as the second semester of their sophomore year, many programs do not accept sophomores. If petitioning for sophomore study abroad, students must complete the Core before going abroad. Though challenging, students may also petition the SSC to study abroad during their senior year. Students who are on academic or disciplinary probation or who have delinquent accounts are not eligible to apply for or to participate in study abroad programs. Students should be aware that the SAC may access their disciplinary record. Grades for the semester prior to departure will be reviewed before final approval is granted for participation in study abroad. Should grades fall below qualifying standards, approval for participation may be withdrawn. Because the College wants all student study abroad decisions to be driven by academic, rather than financial factors, students are charged Harvey Mudd tuition and a study abroad fee that is equal to the cost of tuition, room, board (12-meal plan), and fees at the College for the same period of time. The fee covers the costs of the academic program, reasonable room and board in the host country, and an allowance for round-trip transportation based from the Los Angeles Airport (LAX) to the program site. An allowance for international health insurance may also be provided. Students must take a minimum course load equivalent to Harvey Mudd’s full-time student requirements (12 credits). Students on financial aid must take a minimum of 12.8 credits. While abroad, students normally take a course load equivalent of four to five Harvey Mudd semester courses (15–16 credits), whether or not they need the credits to graduate. Students are allowed to take up to 18 credits while abroad. While overloads are strongly discouraged, students may petition the Associate Dean for Academic Affairs and the SAC for approval to enroll in more than 18 credits. Departmental approval is required for all courses to be counted toward their major, Humanities, Social Sciences, and the Arts (HSA) requirements, or toward general elective credit, and is also a requirement to study abroad. For this reason, students should discuss course selection with both faculty advisors. It is highly recommended that students retain all syllabi, reading lists, and copies of submitted work, including all papers and exams, as a record of academic performance abroad. All courses taken while studying abroad are to be taken for a grade unless the course is only offered on a Pass/Fail credit basis. Credit will be awarded only on grades of C or better for HSA and B or better for courses to fulfill major requirements. Students must verify the departmental minimum grade requirements. Students must petition their major department to earn credit toward degree requirements for grades that fall below the minimum. All grades earned during approved study abroad in the Fall or Spring semester will appear on the Harvey Mudd transcript with the letter grades earned, though the grades will not be computed into the Harvey Mudd cumulative GPA. It is the student’s responsibility to consult with their academic advisors to affirm the applicability of the proposed coursework. Any changes from this plan should be communicated, in writing, to the advisor(s), the Study Abroad staff, and the Registrar’s office. The College’s acceptance of coursework taken abroad is contingent upon approval by the student’s major department, the HSA department, and the Registrar. Students enrolled in an approved study abroad program during the Fall or Spring semester are subject to the study abroad credit policy detailed above. To be awarded study abroad credit, students must be enrolled at HMC during the semester they plan to be abroad. Courses taken abroad in the summer are subject to the Transfer Credit policy. Transfer credit will not be granted to students who take a leave of absence from Harvey Mudd and enroll at an international institution or at a US-based study abroad program provider. For further information refer to the Study Abroad website. Credit toward graduation from Harvey Mudd is granted only to participants in programs of study officially approved by the SAC. In addition to Harvey Mudd applications, most students will need to complete a Secondary Application required by their program sponsor. Students are responsible for obtaining and submitting the appropriate forms to Study Abroad and the program sponsor, when applicable, by the deadline. Information on obtaining these applications is available in the “Applicants” section of the Study Abroad website. As a reminder, students interested in going abroad should apply for most programs in the semester preceding their proposed term abroad. The Harvey Mudd Study Abroad Application is accessible on the Study Abroad website and this, along with the Secondary Program Sponsor Application, must be submitted by their respective deadlines. The OSA (Office of Study Abroad) will notify students of the SAC’s decisions. Notification is emailed to the student’s Harvey Mudd campus email usually before Fall break or Spring vacation. SAC approval does not guarantee final acceptance to a study abroad program. Participation in the program is contingent upon approval by the program sponsor and continued good academic standing in the current semester. This includes satisfactory completion of all program prerequisite courses and related language courses. In addition, students should maintain the GPA required for the program. Accepted students must return a signed contract indicating their intent to participate. It is important that students submit all required OSA forms and respond to all requests from the program sponsor in a timely manner. Failure to do so may result in automatic withdrawal from the program. All students accepted for studying abroad affirm their understanding that they must conform to rules and regulations not only of Harvey Mudd, but also of the program and the country in which they study. Failure to do so may result in the student being immediately discharged from the program and returned home, at their expense, without a refund of program fees. All students participating in study abroad are required to carry their own comprehensive health insurance. Students with pre-existing illnesses should inquire about supplemental insurance while abroad. A list of students approved by Harvey Mudd Study Abroad will be forwarded to the Harvey Mudd Dean of Students, the Harvey Mudd Registrar, and to Monsour Counseling and Psychological Services of The Claremont Colleges. Students accepted for studying abroad affirm the additional academic and personal risk involved and recognize as well the limited responsibility of the College for such programming. Before final approval for participation is given, each applicant must complete the Waiver, Release, and Indemnification Agreement that outlines the limits of the College’s liability.